Home > Blog > Financial Services: Where in the World Does GDPR Apply? The General Data Protection Regulation (GDPR) is a new European privacy law with a global impact. The regulation became effective on May 25, 2018, and regulates how organizations use and treat the personal data of individuals residing in the EU, regardless of whether the organization responsible for the data collection or processing is physically located in the EU. The GDPR gives individuals residing in the EU certain additional rights over how their personal data is handled. a company is required to comply with the GDPR. So, the key takeaway is even if a company isn’t located within the EU, if it offers “goods/services to EU residents” it would still be on the hook for complying with the GDPR. Many financial institutions are impacted by the GDPR based on their international presence and physical locations within the EU. One of the many GDPR obligations facing GDPR-impacted organizations is the requirement to enter into data processing agreements with all vendors that process EU personal data on their behalf. Understandably, some companies are anxious about this requirement and have reached out to vendors indiscriminately asking them to sign data processing agreements without consideration of the products and services offered in the arrangement. This is where the triggering territorial scope elements described above become key and a deep understanding of the data flows and interactions are critical to properly assessing responsibilities and appropriate approaches. Financial Institutions regularly open accounts for US-based customers. Financial Institutions know quite a bit about the retail customer through their KYC processes and typically a US address is obtained at the time a customer opens their US account. Let’s imagine that the banking customer later moves to the European Union and wishes to maintain their US-based checking account. The banking customer is free to do so. However, the mere act of now residing in the EU and requesting checks be mailed to an EU address does not necessarily trigger GDPR obligations. In other words, the GDPR does not supersede the US terms and laws the banking customer previously agreed to when opening the account. I lived in Ireland for a year while completing my LL.M studies at University College Dublin. While living in Ireland, my dad mailed me a check from his US checking account. I am a big fan of remote deposit capture and took a photo of the check and deposited the check to my US-based checking account. Even though my transaction took place while within the EU, my action did not trigger GDPR compliance. While there remains quite a bit of confusion (and frankly misdirection and misinformation) in the market, based upon the European Commission’s guidance, it’s clear that just because a service such as remote deposit capture, mailing a payment, or receiving checks, can be utilized while within the EU, it does not automatically follow that these actions trigger GDPR compliance obligations on behalf of the organization offering the services. 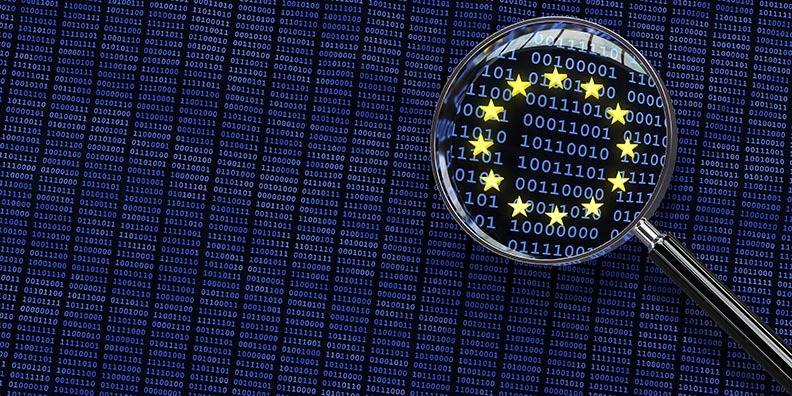 For organizations located outside of the EU and not engaged in behavior monitoring of EU residents, the true test of whether an organization located outside the EU would fall under GDPR-scope is whether the organization is targeting its services at individuals residing in the EU.